Send Chinese SMS, Arabic SMS, Greek SMS and more! In our iSMS system, we support Unicode which is UTF-8 and it helps to encode characters with a string of numbers. 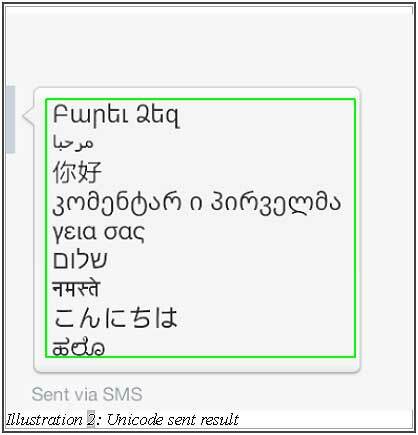 Being Unicode standard compatible is extremely useful when you want to send SMS in non alphabet based languages. 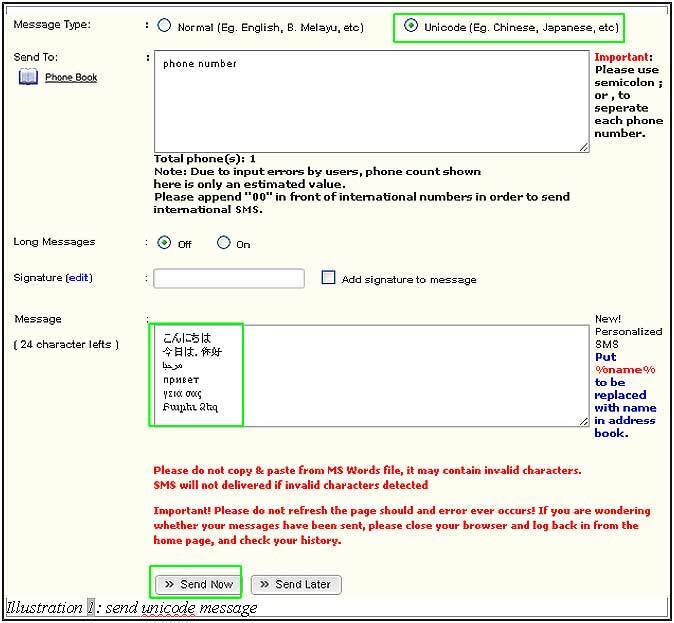 In this case, iSMS unicode SMS feature supports Chinese, Arabic, Greek, Japanese, Korea and a wide selection of languages. Below are some sample sending messages using Unicode. After sending the above sample message using various languages, the result is as below.